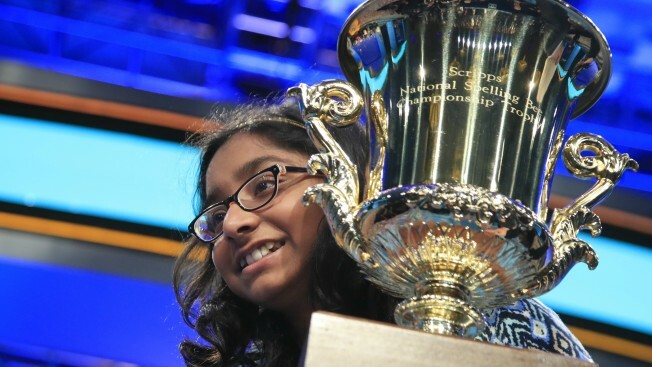 Ananya Vinay, 12, from Fresno, California, holds her trophy after being declared the winner of the 90th Scripps National Spelling Bee, in Oxon Hill, Maryland, on June 1, 2017. Ananya Vinay showed little emotion as she plowed through word after mystifying word in the final rounds of the Scripps National Spelling Bee. Later, as she stood beside the confetti-covered stage, the newly crowned champion flashed a toothy grin as she revealed how much confidence she'd brought to the competition. A Scripps representative told Ananya she would have to deliver a speech during Friday's closing ceremonies. That wouldn't be a problem, Ananya said. She'd written the speech before she arrived at the bee. "In the last few weeks," the 12-year-old from Fresno, California, said. "Just to motivate me to study more." Ananya didn't come into the bee as the most heralded speller, but she outclassed her better-known competitors and survived a long duel with 14-year-old Rohan Rajeev to win the 90th Scripps bee on Thursday. She'll take home more than $40,000 in cash and prizes. Ananya never looked all that impressed by the words she was given. She rarely took even half her allotted 2 minutes to spell. Sometimes she would blurt out questions in a near-monotone -- "Part of speech?" "Language of origin?" -- and sometimes she didn't even bother. "I knew them all," Ananya said. She seized the opportunity when Rohan flubbed a simple-looking but obscure Scandinavian-derived word, "marram," which means a beach grass. She calmly nailed two words in a row, ending on "marocain," which means a type of dress fabric of ribbed crepe. Ananya's parents and brother rushed on stage to embrace her as the confetti fell. She took time to console Rohan, who remained in his seat, wiping tears from his eyes. It was the first time since 2013 that the bee declared a sole champion. After three straight years of ties, the bee added a tiebreaker test this year, and it looked like it might come into play as Ananya and Rohan dueled for 21 of the allotted 25 championship rounds. Last year, Ananya fared well enough on the bee's written spelling and vocabulary test to make the top 50, but she flubbed a relatively easy word, "multivalent," on stage. "She panicked. It was not a hard word," said her father, Vinay Sreekumar. "I think she learned from that and she consciously worked on it, how you shouldn't panic, just focus on the word." Paul Loeffler, a former speller and ESPN commentator who also lives in Fresno, was one of a few who expected big things from Ananya in her return. "I knew how driven she was and determined to get here, and she's obviously shown the mental capacity to pull this off," he said. As a sixth-grader, she could have come back for two more years, had she fallen short. Now, she'll return only in a ceremonial role to help present the trophy to next year's winner. And she'll have to find time to watch her beloved Golden State Warriors in the NBA Finals while enjoying the champion's whirlwind media tour. For Rohan, a 14-year-old eighth-grader from Edmond, Oklahoma, it was his first and only time on the national stage, but he's competed for years in other bees and he sought tutelage from another Oklahoman, Cole Shafer-Ray, who finished third two years ago. Rohan's close call was even more heartbreaking. "He's unbelievable, probably a much better speller than I ever was. He got so many incredible words right," Cole said. 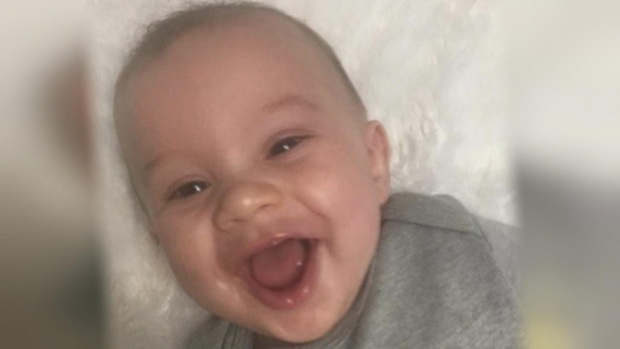 "I'm sure he's not going to sleep that much tonight and he's going to be disappointed in himself like I was, but ultimately he's going to realize that he made everybody proud." Ananya is the 13th consecutive Indian-American to win the bee and the 18th of the past 22 winners with Indian heritage, a run that began in 1999 with Nupur Lala's victory, which was featured in the documentary "Spellbound." Like most of her predecessors, she honed her craft in highly competitive national bees that are limited to Indian-Americans, the North South Foundation and the South Asian Spelling Bee, although she did not win either. Mira Dedhia, trying to become the first offspring of a past competitor to win, finished third. Her mother, Lekshmi Nair, competed from 1988-1990. Before Ananya and Rohan began their lengthy duel, some better-known spellers were surprisingly eliminated. Shourav Dasari, a past winner of both minor-league bees, was described as the consensus favorite as the ESPN broadcast began. The lanky Texan had the most swagger of the finalists, at one point spelling the word "Mogollon" as soon as he heard it and turning around to return to his seat. He was felled in fourth place by a killer word, "Struldbrug," that was coined by Jonathan Swift in his novel ``Gulliver's Travels'' and had no recognizable roots or language patterns to fall back on. "I was honestly, absolutely shocked. It was stunning," former speller Jacob Williamson said. "Shourav is one of the greatest spellers of all time and he's probably the best speller that never won."